Arts in Motion - NPO Showcase from GRTV on Vimeo. 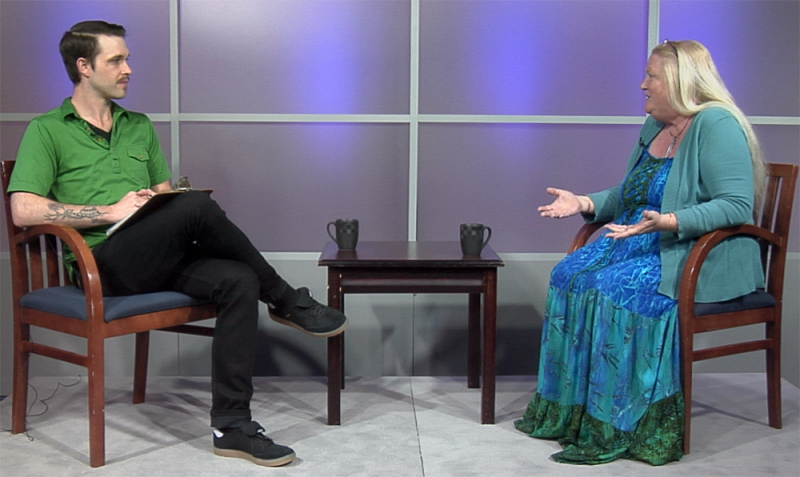 In this week’s segment of GRTV’s NPO Showcase, Delight Lester, founder and executive director from Arts in Motion discusses how the organization uses expressive arts including dance, drama, music and more to help those living with disabilities share their creativity. Arts in Motion provides a space for people of all ages and developmental levels to be themselves without judgment. Arts in Motion holds daily classes at their location in the East Hills/Heritage Hill neighborhood and also works with area schools to provide a creative outlet to students at their school. The group also hits the road with performances at local events and festivals and offers performances for hire as the Living Light Dance Company. Lester encourages anyone interested in participating in Arts in Motion classes to get in touch regardless of their challenges. For those wishing to get involved with Arts in Motion, the organization is always looking for individuals with artistic talents to help guide their classes. They also accept donations of foods and goods, financial contributions, and have an account with Amazon Smile, which allows a portion of profits from any purchase be directed to a nonprofit. Check back next Wednesday for a new segment of GRTV’s NPO Showcase, featuring The Pidgeon Creek Shakespear Company.